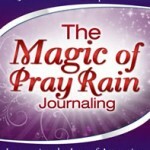 What Is Pray Rain Blogging? 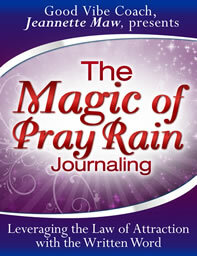 Based on Pray Rain Journaling, this is your online space to write about what you want as if it already were. A powerful way to activate the vibe, forgetting “reality” to feel your dream true NOW is how you let magic and miracles in! Start by commenting below to join the party. No explanations, no backstory, just forget about what is and have fun writing about what you want as if it already were! I am absolutely and inexplicably overwhelmed with happy. It’s a deep-seated feeling of satisfaction, ease and a dulce dé leche sweetness that before now, I didn’t know was possible. The most incredible thing about this feeling is that it’s unconditional; I create it apart from any “thing” or “person”. Even more beautiful is that the sweetest things and persons all come to me, validating my happy. Only tears have the language to properly express my heart; words are too frail. I am so excited and bursting with gratitude as today in perfect timing my $10,000.00 has shown up and what a magical experience it was at first i started dancing around then i counted it and smelled it then i cried a flood of tears of joy Thank you so much Universe I am so grateful for my many blessings I am truly the money magnet I have aspired to be for so long! Every time I think about the miraclous way my Mom health improved, I can only say THANK YOU GOD, over and over again. The gratitude I feel for this answered prayer is beyond words of how I feel. It is truly a miracle, she is walking without any aid of a cane, walker or person. Her vital signs are off the chart, just perfect for a 90 year old lady. Thank you Great Mighty I AM Presence for answering my call. I just love this view. I could literally sat here hours on end and never get tired of looking out of my 3500 square feet condo overlooking the muddy Mississippi river. I love living downtown and now that my dreams are a reality I can only cry in awe and wonder of how the universe truly responded to my call. There is so much peace and tranquility in place. My home is warm and comfortable, tastily decorated, beautiful patio with enclosed bay windows in both living room and master bedroom. Oh! !my the master bedroom and bath suite is so hugh alot more than I could have imagined. Just simply lovely and so ME. Great wow wonderful yeah is the joyous feeling I am having now because the reality of what I knew and felt all alone that I AM A PERFECT 300 score bowler consistently every time I bowled came to past. I am now wearing the beautiful diamond ring proving to myself and others that the great mighty I AM Presence in me is one with me. There is nothing I can’t do, there is nothing I can’t have, there is no power I don’t have, there is nothing too hard for me and there is nothing impossible for me is my daily mantra. I love this victorious, happy and joyous feeling. I’m living the good life! Thank you universe for blessing me with perfect health and abundance in every aspect of my life. My world is so peaceful and beautiful. There is happiness all around. The love of my life, my wife is with me and enjoying every moment exploring all the exotic places on this planet alongwith our daughter. We’re experiencing complete bliss. It’s so exciting learning new things every moment and it feels great to have such wonderful friends around. It feels great to share my learnings with schools and to see the students excel in their academic pursuits. My brand new house on the mountain top is very comfortable and I love to work on the manicured lawns on the one acre mountain top land where my house is. I love my golden retriever and he just loves to be with me, my beautiful wife and loving daughter. The frequent rides we’ve down the countryside in our new suv with soothing music on is so relaxing. The organic farming project I’ve undertaken is very successful and the farmers are super excited and so are the communities where the product is sold and the demand just keeps growing. I love you life…I love you God…Thank you…Thank you…Thank you! This is so amazing! my music career is so great! I am hitting high notes that i never hit before. The piano is a lot easier to learn. I have even been making really awsome youtube covers. I have 1 million subscribers for my youtube channel. I love music and I love making music. This is so freaking amazing! I can’t tell you how thrilled and how absolutely grateful I am to report that my ex (well not ex anymore, I guess!) and I were able to work things out and FINALLY be together again after breaking up and seeing each other off and on for six months. I mean we’ve always both maintained that we love each other but we just couldn’t seem to get it together and make it work. We both had so many issues to work through and so many hurts to forgive. Anyway, he recently told me that he’s finally ready to make a commitment and then a few days later he moved in with me! I missed sleeping next to him every night with his arms wrapped around me. It is the best feeling in the world. It makes me feel so safe and so loved. I could literally just lay in his arms forever. It was a long 6 mos but despite everything we’ve been through, we’ve come out the other end on top. I now look at it as a blessing in disguise. It sucked at the time but it has made us appreciate each other that much more and he shows me every day how much he loves and appreciates me. He bought me flowers! I think that’s the first time he’s ever bought me anything other than a dinner or a beer here and there. The other day I caught him bragging about me to his friends on social media. He’s so proud to be my man and I could not be prouder to be his woman. I am so lucky and I think he finally realizes how lucky his is too. He even stuck up for me when his older sister made some not-so-nice comments about me. He says she will come around to eventually accepting the relationship and even if she doesn’t, he doesn’t care. The rest of his family loves me and she’s the black sheep anyway so it really is no sweat. I’m just glad I have his love and commitment again. I missed it so much. I am forever grateful for that. I am excited about this . I see it as a living written version of my story board. I just heard my song play on 106.7 and 98.7 at the same time this evening. Crazy. It is surreal to know that my song is playing to millions of people. My video for that song is now at 1.3 million views and it is selling like crazy on iTunes. I really really love that song, it is so chill and has such a lovely vibe. I’m glad people are picking up what I’m putting down! So glad to know my album is going to be released soon. I am so thankful that I got more than enough help, support, resources, and Universe’s guidance in getting this album up and going, It feels really good to make music and share it and know that the vibes are being loved! Gonna go rock climb tomorrow morning with my buds to get all this extra energy out! Wow! I am positively giddy. Years ago, began my LAO study. And everyday, it is getting better since. When I think back now, I realize how oddly amazing that I have been seeking the LOA lifestyle my whole life. At one time, I called it eternal optimism and even ADHD! Haha! But my internal and external foraging has payed off- in really amazing ways! oh my effing god. I have the coolest laptop! its called the origin EON 17-SLX 2014, and it is amazing. I can do somany cool things on this laptop that I couldn’t before! I can type up my fiction(which people are adoring! ), I can do a lp channel now! (my account is “crippledplayer”, its a youtube channel! I just feel so lucky and fortunate that I have access to so many different things now! I feel like the girl in the move “annie”! that’s how lucky I feel! I just asked Jeanette if I can do a blog post about my amazing achievement, hopefully she’ll say yes. I just feel so good now because it’s actually confirmed to me that the law of attraction is real! YYYYYEEEESSSSSSS!!!! !